The axe, or Native American Tomahawk, is also one of the oldest weapons of mankind. 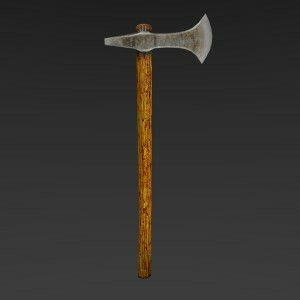 As working tool and weapon an axe (or Tomahawk) was used in almost every part of the world. The axe is usually a top-heavy weapon with a 30-50 cm long handle. The tomahawk is a weapon for the close quarters combat (CQC), just like the knife. The main advantage of the weapon is the penetrating power, but also the ability to change the range by choking up on the handle (long or short grip). A wide range of techniques with highly damaging impact are possible. Since the Vietnam War, American soldiers use the tactical tomahawk as working tool and close combat weapon. The first tomahawks were made with wooden shafts and heads of bone, rock, or wood. Europeans introduced the metal blade and traded the tomahawks with the Indians, who became very adept at using them in battle and came to greatly prize them. The tomahawk is a practical tool, as well as an effective close quarter combat weapon. 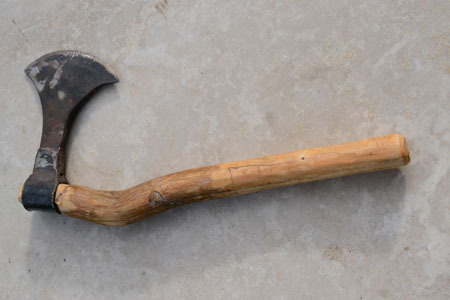 The Tomahawk is not only a tool and weapon, but also a cultural asset. The handle was sometimes carved as a pipe, richly ornamented tomahawks were passed on as presents. 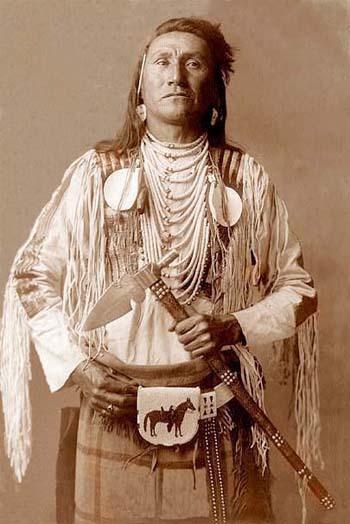 For the native Americans the tomahawk had a great symbolic meaning: a friend was presented with the shaft, carved as a pipe, while an enemy was presented with the deadly head of the axe. Also today the tomahawk is still in use. It was standard military equipment during the Vietnam war and the war in Iraq. 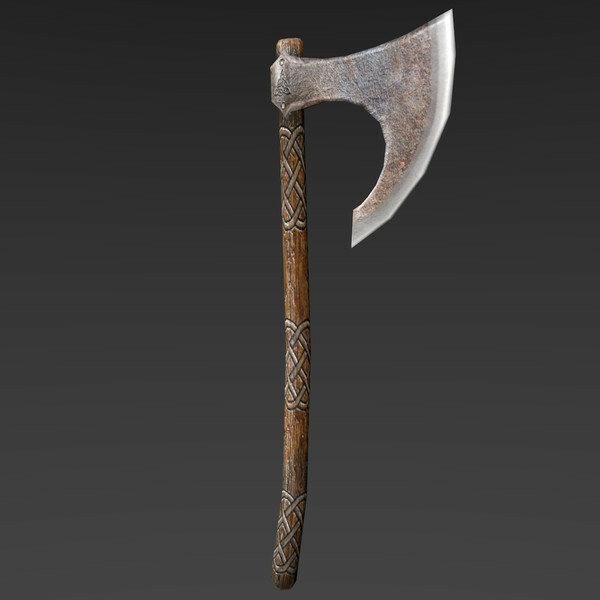 Battle Axe is a collective term for axes used in combat. 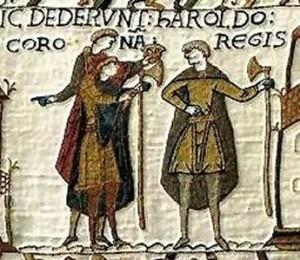 Especially in Europe in the middle ages battle axes where used in close combat. Axes were used in various cultures and various stiles, sizes and materials: stone, bronze, iron and steel. The heavy head allows powerful strikes, the axe can be used with one hand or both hands.